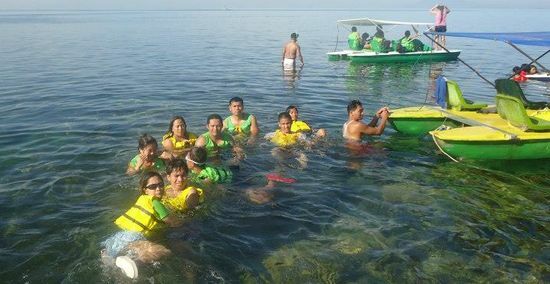 Clear waters in Matabungkay Batangas beach make swimming, boating and fishing more fun. It is one of the few beaches in the Philippines with white creamy sand. This is perfect for walking barefoot or playing under the moon, the stars or the sun! 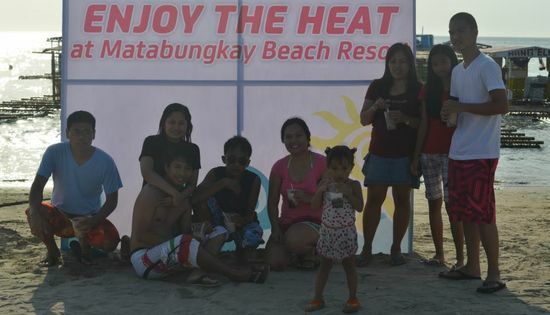 Filipinos flock here to escape the scorching heat of Metro Manila and nearby areas. 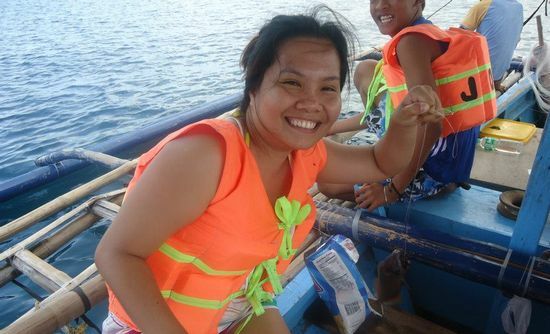 We stayed at a budget resort and took the bus in going to Matabungkay Batangas. The lifeguard post at the stretch of white creamy sand. We spent two days here during the 2013 Holy Week before the crowd began to arrive. But even then there were people who got here first and enjoying the place. We explored the area. We walked the beach. We swam, fished and played on it. We scoured the place for the heat-quenching halo-halo. Actions center on the 2-km stretch of white sand. This area houses low-budget cottages and mini-stores. You can rent floating bamboo rafts with nipa huts and get most of the water activities from here. Less crowded yet costly places lie on either end of the stretch. Rent for a floating raft is good for a day. 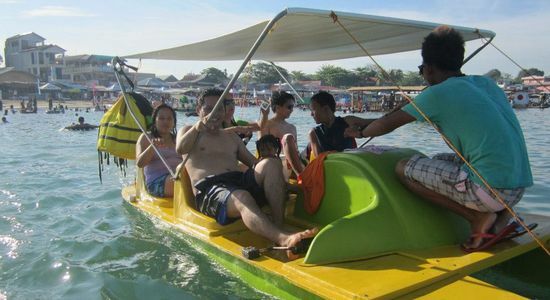 Pedal boating explores the clear waters and corals. 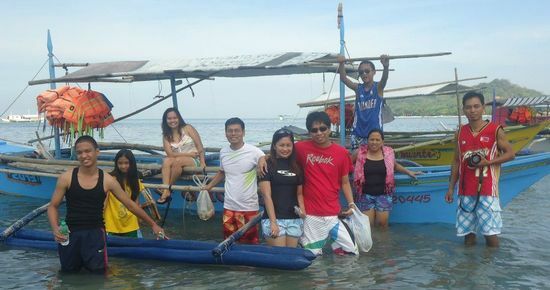 5 to 6 persons can ride on a boat. You can even race to the area to make it more fun. Feed the fish by throwing bits of bread to the water. Swimming, or floating with life vest, on the clear, lukewarm water has never been more exciting! Bargain with the boatman to include life vests and snorkel gears in the boat rent. 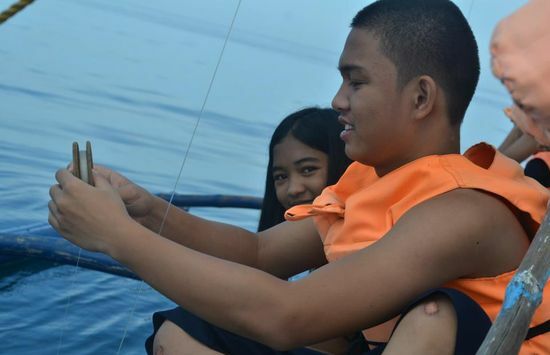 Pedal boating is a good way to explore the clear waters and corals. From left to right: Tan, Rodel, Salve (hidden), Nika, Dong, Cymon, boatman. On the water front-back: Salve, Dong, Cymon, Anne, Tan, Rodel, me, Hero, Joyce, Kuya Jojo. Even little Nika enjoys floating on the water. Small fishes play on the corals. Be careful when walking on the corals. The back of my leg was cut when I slipped. Fishing thrills the adrenalin and tests your patience. The sight of various fishes at the end of others' fishing lines steps up pressure to pull your line up. Sometimes the weight of the line below seems to suggest a catch. Expect teasing and laughter to erupt when nothing turns up at the end of your fishing line. You may get enough fish for lunch or dinner if you're lucky. Ask the boatman how to cook your catch and what dipping sauce to go with it. Posing for the camera before boarding the boat. L-R: Hero, Joyce, Anne, me, Salve, Dong, Tan, Cymon, Kuya Jojo. Dong shows his precious catch - the first of the group. No other fish took his bait after that. Now comes the biggest catch. Anne caught two more after. She thinks she can be a good fisher, and rightly so. Siblings Hero and Joyce got the most catch combined. The fishing boat is motorized so you go farther into the deep blue sea. It takes some 20-30 minutes to go to the fishing area. This gives you enough time to view the whole stretch of white sand and the shores. Float or swim on the clear water on the way back if you have more time. If not for the life vests, we would not dare go down from the boat. The less crowded portion of the beach. Salve showing off the catch - on time for lunch. Tip: Always bargain when renting a fishing boat. Never agree to the first price quoted by the boatman. Include as much equipment and gears as possible. 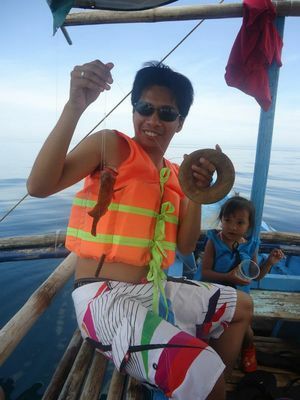 Fishing line and vests are free, but try to get goggles, snorkel gears or fishing rods free or at a discount for more enjoying Matabungkay Batangas experience. Walking the white stretch of creamy sand from end to end yields exciting finds such as various kinds of halo-halo. Each halo-halo store has its own distinct flavor. After that, you can just watch the sun as it goes down past the floating cottages. Or get a lifesaver or salbabida and start swimming and playing with the kids on the water. What shall we do without halo-halo under the summer heat of the sun? Find out where we stayed in and how we went to Matabungkay Batangas. Clear waters with white creamy sand are some trademarks of beaches in the Philippines. You can find them among the best family vacation spots. Even if that is not the case, what matters most is the time well spent bonding with your family. 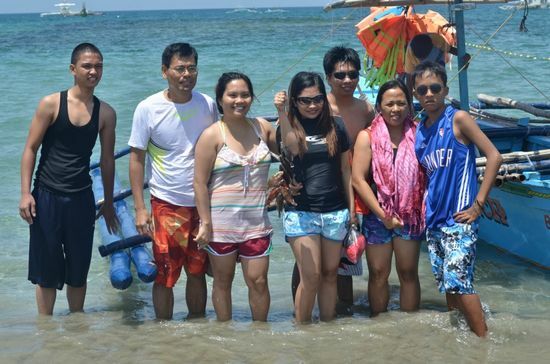 If you are an Overseas Filipino Worker on vacation, Matabungkay Batangas beach is worth the trip.